British horror/comedy Shaun of the Dead is a scream in all senses of the word. 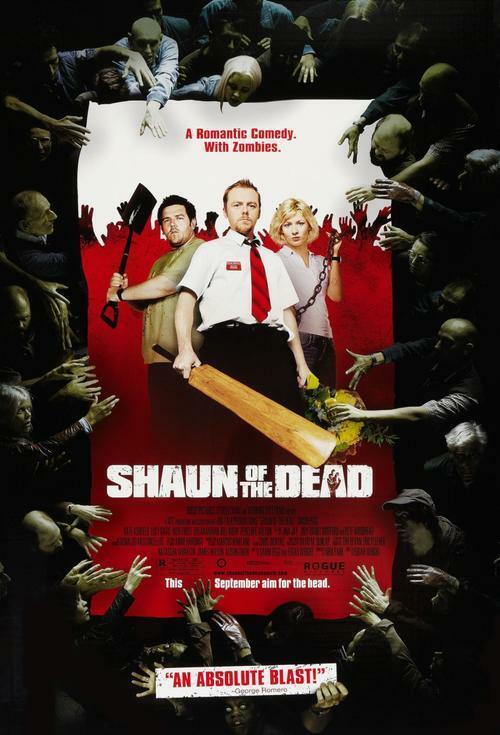 Brain-hungry zombies shamble through the streets of London, but all unambitious electronics salesman Shaun (Simon Pegg) cares about is his girlfriend Liz (Kate Ashfield), who just dumped him. With the help of his slacker roommate Ed (Nick Frost), Shaun fights his way across town to rescue Liz, but the petty concerns of life keep getting in the way: When they're trying to use vinyl records to decapitate a pair of zombies, Shaun and Ed bicker about which bands deserve preservation--New Order they keep, but Sade becomes a lethal frisbee. Many zombie movies are comedies by accident, but Shaun of the Dead is deliberately and brilliantly funny, while still delivering a few delicious jolts of fear. Also featuring the stealthy comic presence of Bill Nighy (Love Actually) and some familar faces from The Office.